I take great pleasure in leaving my boys and husband at home while I take a leisurely, solo, shopping trip. And luckily, there is pretty much never a time when we don’t need some groceries and other sundries. So I typically head to Target, and usually late on a Sunday morning. I may be imagining it, but the moms and dads shopping with their kids seem to look at me longingly, wishing they were alone like me. Interestingly I just happened to have probiotic gummy vitamins on my shopping list yesterday (for my 3 year old – they have helped his digestion), but it never occurred to me I’d see probiotics in the beauty aisle. 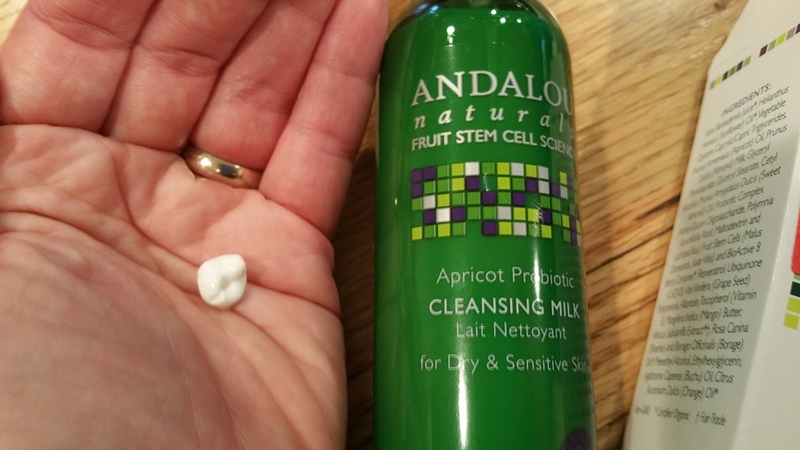 Actually there could not have been a better time for me to stumble upon Andalou Naturals Apricot Probiotic Cleansing Milk because a recurring irritation around my mouth has recently come back yet again. So, long ago I began experimenting with other remedies. 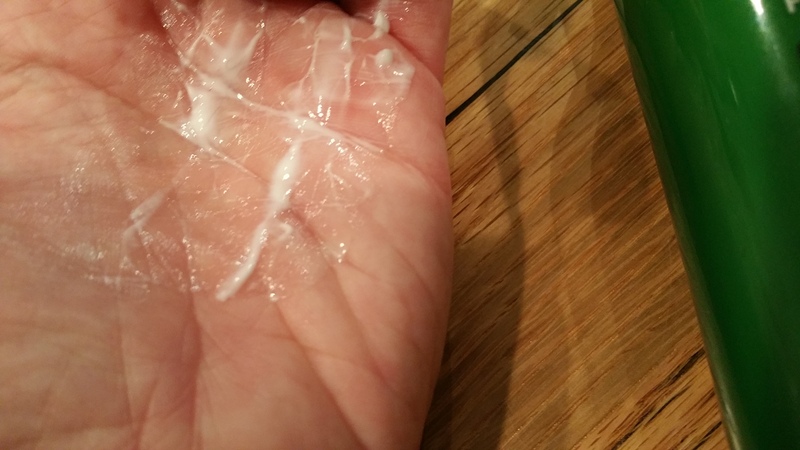 I’ve tried plain yogurt on my skin, which feels good but is unsightly and gross. I’ve been trying to tap into yogurt’s probiotics. But I haven’t used topical yogurt consistently or for a long enough time to determine whether it could be a remedy or a preventative treatment for my skin. Enter Andalou Naturals Apricot Probiotic Cleansing Milk. This is something I can theoretically use every day as part of a routine, without going to the refrigerator. Or I could just use it around my mouth if I want to cleanse my face with a different product. The milk has a fruity scent that reminds me of Garnier Fructis hair products. Andalou didn’t add artificial fragrance, so I know I’m smelling actual apricot oil (relying on it’s ingredient list). The milk is pumped out with a semi-solid, gel-like consistency, and it doesn’t lather up at all. I used about four pumps when I washed my face with it today. I am not sure if I used the proper amount, but my face feels good and maybe a bit less irritated around my mouth than before. I’m crossing my fingers that this could be “the” product that finally silences my skin. Naturally I became curious about whether there are other skin care products containing probiotics. I mean, I have tried countless skincare and beauty products and brands, but this is a really novel product concept for me, and therefore intriguing. 1. Eminence skincare makes a line of products containing probiotics, but they market them for oily and acne prone skin. Does this mean they would not work for dry and sensitive skin? 2. Epicuren Probiotic Facial Cream contains the recognizable ingredient, Lactobacilli Acidophilus, used in yogurt, and is recommended for oily as well as sensitive skin. 3. 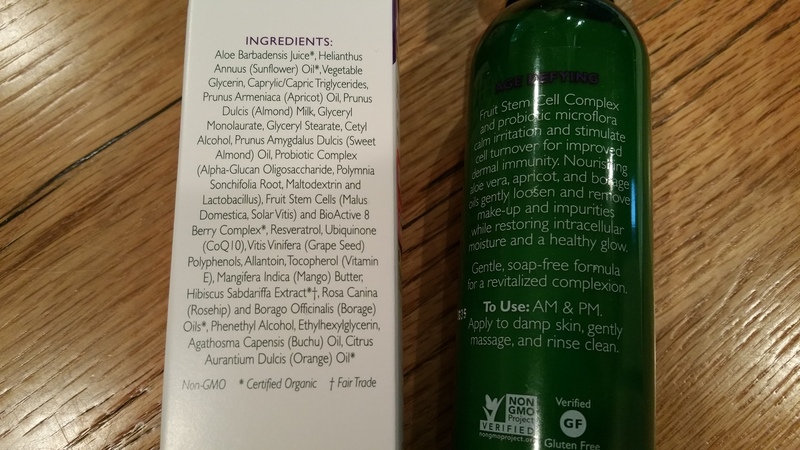 Acure (another brand you can find at Target, incidentally) makes Sensitive Facial Cleanser and Sensitive Facial Cream, that both contain probiotics. Radical Resurfacing Facial Treatment and Day Cream + Gotu Kola Stem Cell also mention probiotics, but they don’t seem to be targeted towards sensitive skin. 4. Tula is a skincare line on the pricier side that makes its formulas with probiotics. I don’t know much about it other than what I’ve found on Amazon.com. 5. 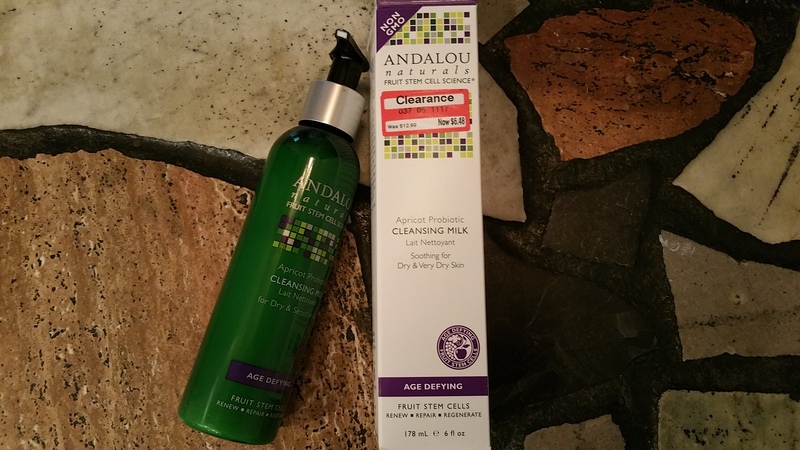 And of course, Andalou Naturals makes this Apricot Probiotic Cleansing Milk, as well as an adjunct product, Andalou Naturals Probiotic + C Brightening Cream. If the cleansing milk seems to work well after a couple of weeks, I will probably try out Andalou’s Probiotic Cream next. While I was looking into probiotics in skincare, I found a few articles in major beauty magazines and blogs as far back as 2014, discussing this topic. Yet somehow I missed the boat on this “trend” in skincare. Has anyone out there already been using a probiotic facial regimen? Has it helped your skin? I really would love to hear your comments about this! Take care and have a safe and Happy 4th of July!